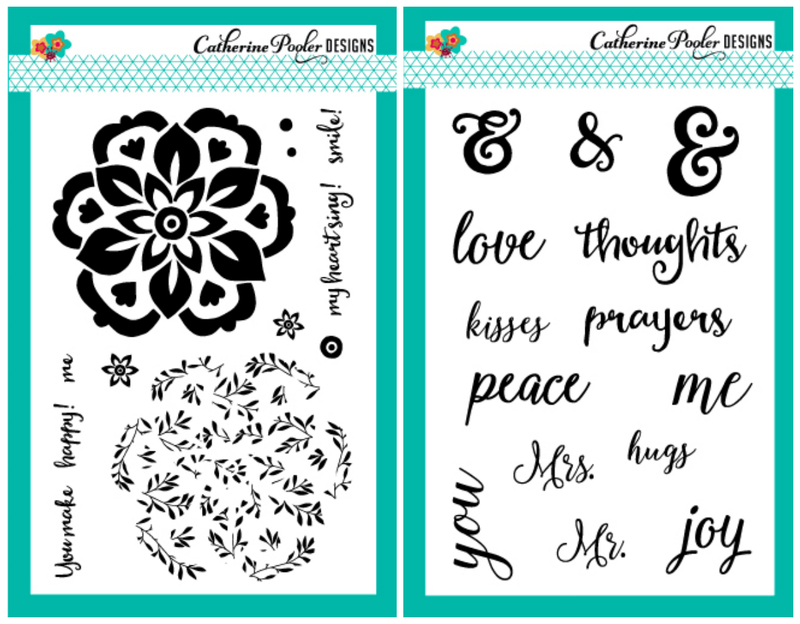 Eva's Favorite Flowers DIES & the Curtis Background Stamp! 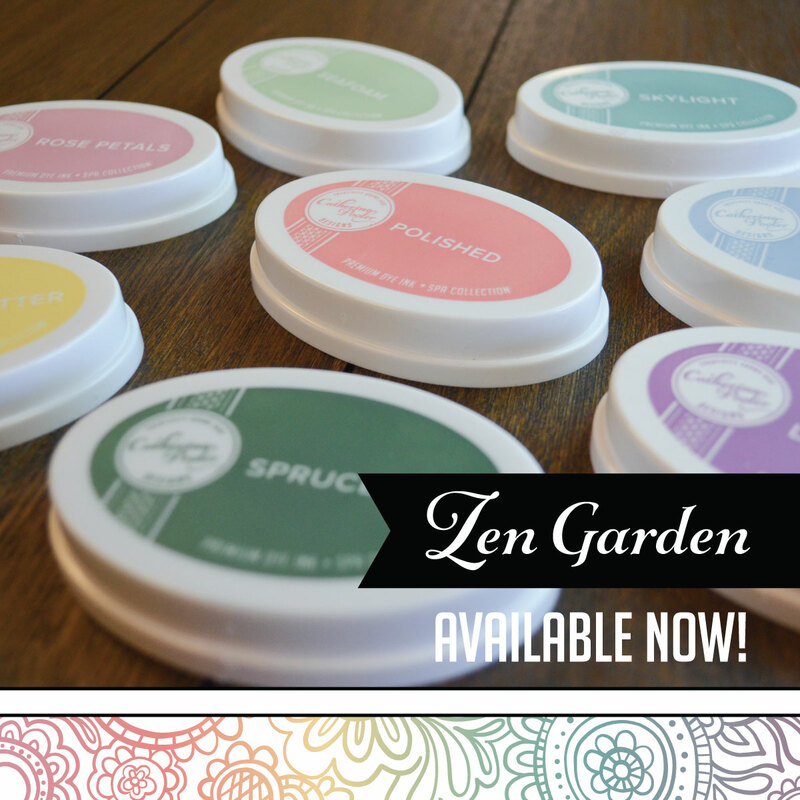 Want to get your hands on these products? Today is the day! 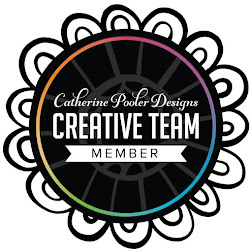 Catherine's store opens today at 9:00AM EDT to StampNation members. 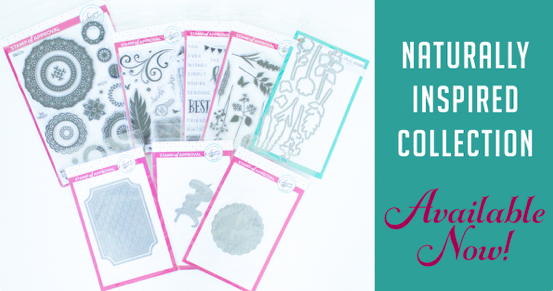 Most of the first three SOA collections will be available for purchase, as well as FOUR new products, including Eva's Favorite Flowers DIES! Not a StampNation member? That's ok! The store will open for you tomorrow at 9:00AM EDT. 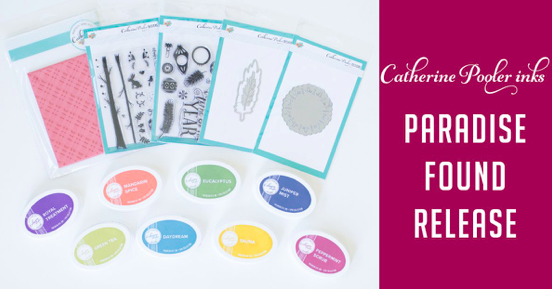 If you are on Catherine's newsletter list, you will receive an email with a link to her store. If not, stay tuned to her blog and social media channels. 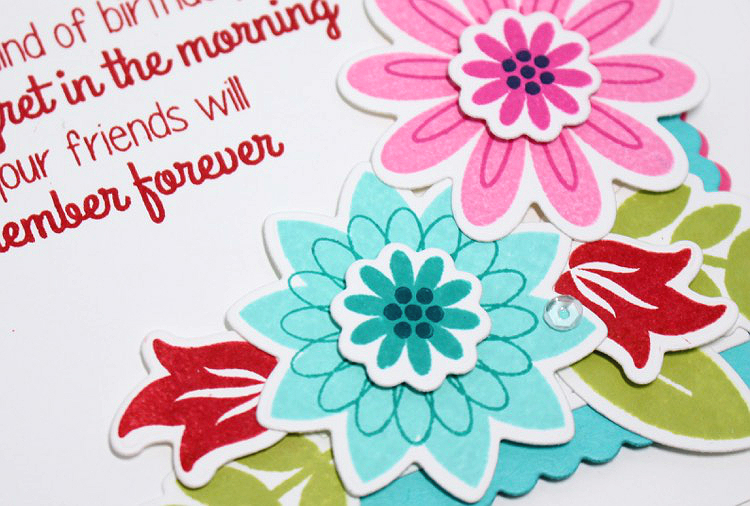 Hello there, I'm back again today with another card using the fabulous, soon-to-be released Wild Blooms and And stamps, as well as the And dies. Wild Blooms really is a show stopper. 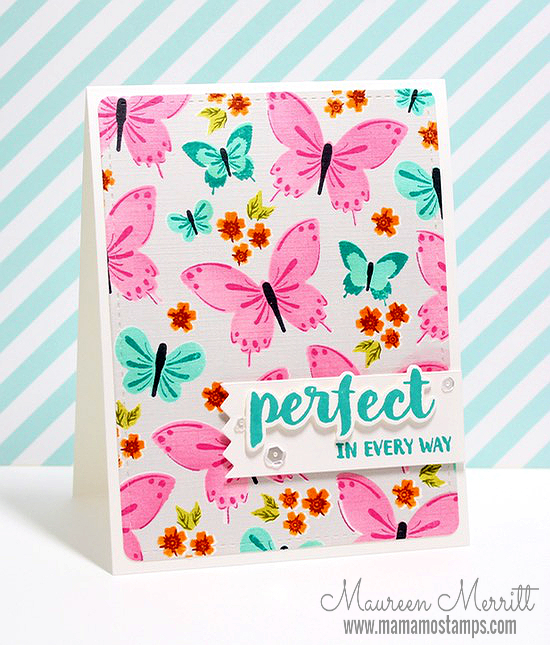 It makes a great focal point and it's beautiful for stamping backgrounds. Yesterday (scroll down or click here to see that card.) I posted a card I made using tone-in-tone stamping, while today I used black for the layering piece. Just stunning. 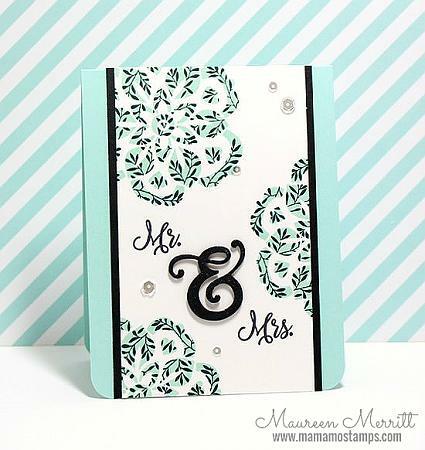 I paired Wild Blooms with the "Mr & Mrs" stamps and die cut one of the dies from the And die set. I hope that you are liking what you are seeing so far. 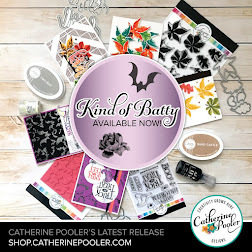 Make sure you visit Catherine to see more ways these stamps can be used, as well as recaps of previous SOA releases and peeks of what will be available in the store. 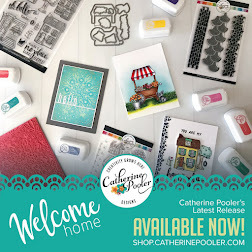 In case you missed it, Catherine announced the soft launch of her online store that will carry Stamp of Approval products as well as her line, Catherine Pooler Designs. Most of the products from the first three Stamp of Approval collections will be available as well as FOUR NEW PRODUCTS! Let me introduce to you Wild Blooms. This two step stamp is absolutely gorgeous. 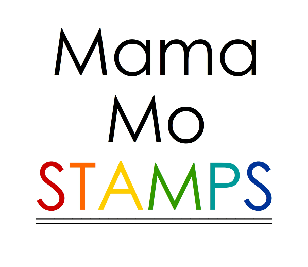 The first time I stamped with it, it was like magic happening right before my eyes. I was texting Catherine like crazy telling her I NEED more stamps like this. The pattern within the bold image is just stunning! 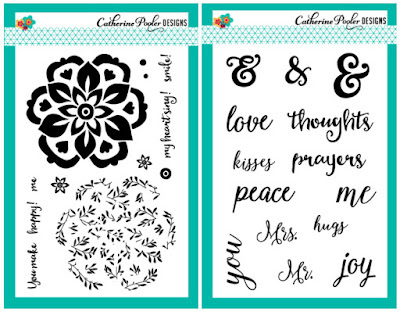 Both pieces look awesome when stamped alone too! A must have! The sentiment is from the And stamp set. 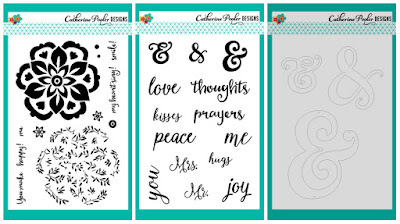 This mix and match sentiment set is perfect for so many occasions. Here'a peek of another card that I made for StampNation using the soon-to-release Eva's Favorite Flowers DIES! 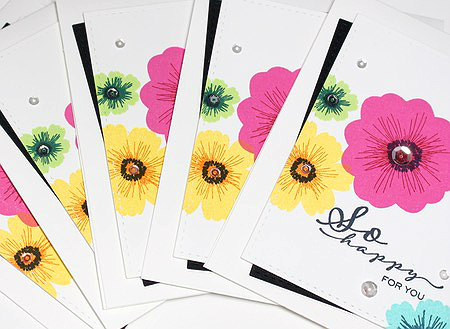 Yes, the ever popular Eva's Favorite Flowers stamp set now has a coordinating die set. WOOT! The store is set to open on June 25th for StampNation members and the 26th to everyone else. The store will remain open for 5 days when it will close until it's official opening in August! I'll be back with more projects soon. Stay tuned! We officially made it to the last day of school. YAY! I'm so glad to see this school year end. We have lots of trips planned for this Summer. I love traveling with my guys. They are at that perfect age right now...independent enough that they know the rules, can be trusted, ride rides alone etc but still young enough to like to snuggle (at least my youngest, he's a snuggler!). 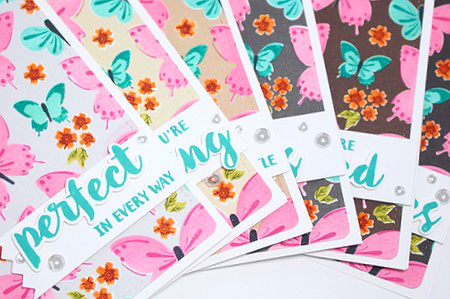 While I thought that using the Color Pop Butterflies kit from Papertrey to make a card set would be quick, it was anything but. There are so many little bits and pieces to sponge and stamp, it took much longer than anticipated. I love it though and the process was fun. I can't wait to play with stamps some more! I hope your Summer is off to a great start!!! The countdown is on...Just 5 days until school lets out for the Summer and I only have 2 card sets ready, YIKES. I'm running out of time! Deep breaths, it will get done. I'm on a mission to make sets that look amazing but take little time or effort. This is not an easy task! I play with the design and colors combos before mass producing. 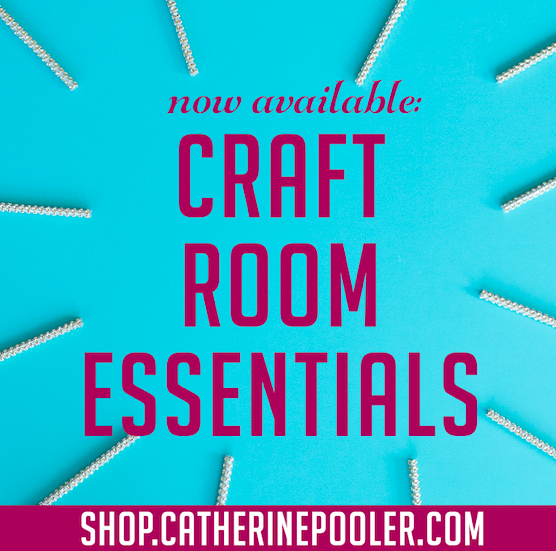 This saves time and supplies in the long run. I was recently browsing Pinterest and came across a card that featured "Bloomers" by Papertrey Ink. I knew it had to be mine. This set is PERFECT for mass producing. 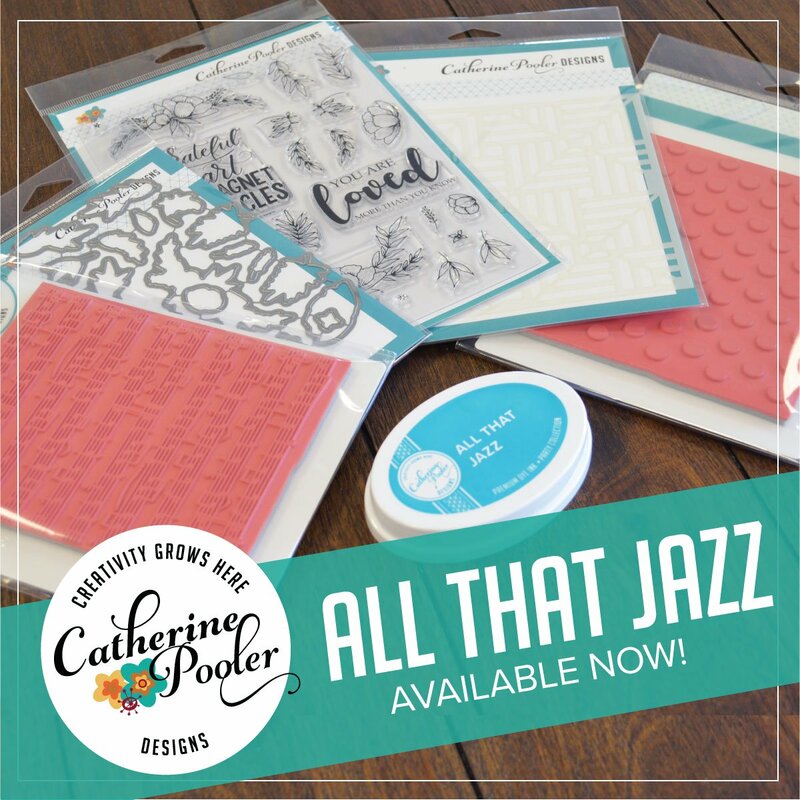 It's fun and the layers are easy to stamp and forgiving if they aren't lined up perfectly. 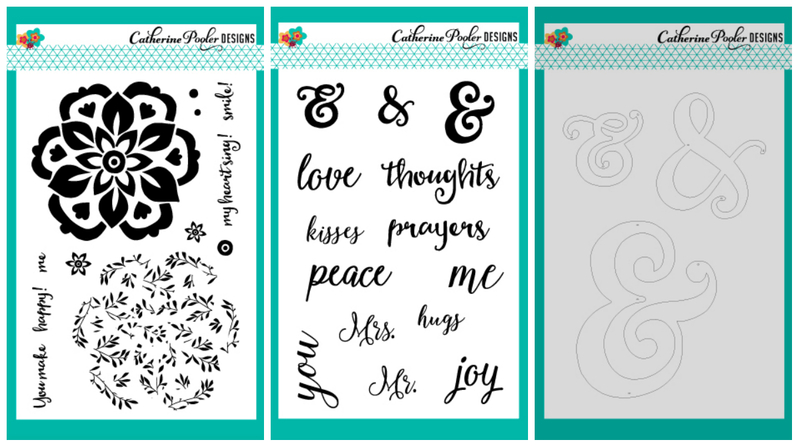 I'd normally like a variety of designs within a card set but I'm on a time crunch, so the cards in this set are all the same except for the sentiments. The sentiments I used are from "Scripted" also by Papertrey Ink. I could make a ton of these but why make it easier on myself? lol. I really love giving each teacher a different set. Call me crazy! I'm off to stamp more card sets. Wish me luck!